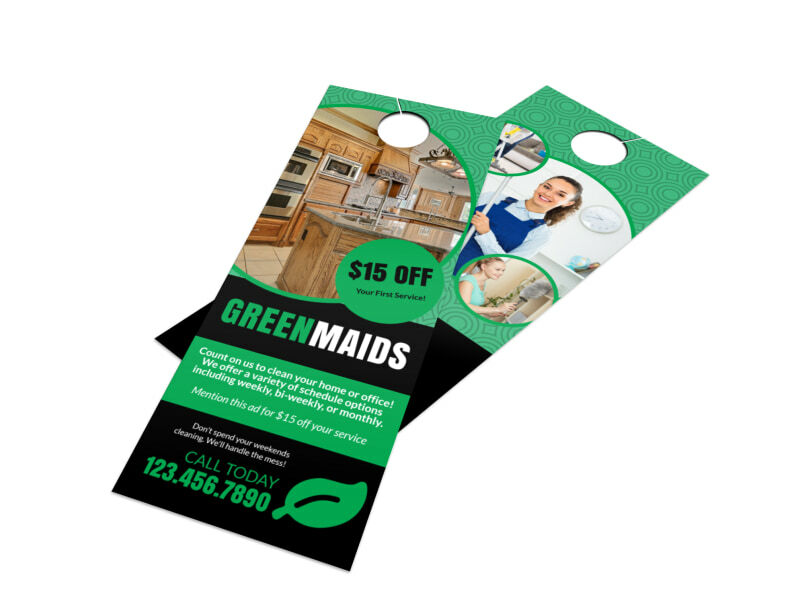 Customize our Cleaning Maids Door Hanger Template and more! 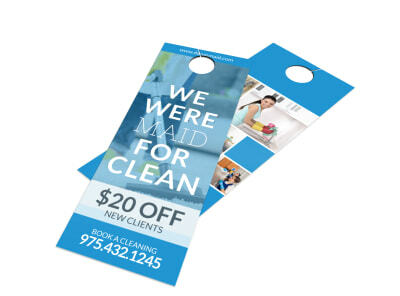 Let homeowners in your community know about your cleaning services with this door hanger. Our online editor can easily be used to customize this template with colors, images, and text that you choose to represent your cleaning business. 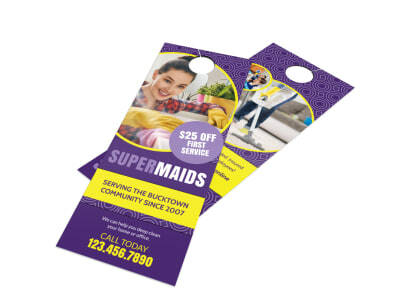 Then, print your door hanger from any printing store when you’re ready to distribute it, or let our expert printers take care of that step for you.